T. Horton James : Missionary Prohibitions, 1832. A brief note claiming that the missionaries have prohibited bathing and the surf-board. 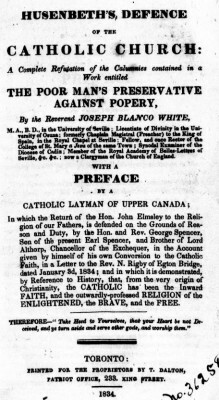 Horton's letter was reprinted in the Catholic Magazine and Review in 1832, and as the preface to Husenbeth's Defence of the Catholic Church in 1834,.accredited as a Catholic layman of Upper Canada. on the Plan of a Proprietary Government, &c.
By T. Horton James, Esq., London, 1832. OF the legality or expediency of Great Britain taking possession of and colonising the Sandwich and Bonin Islands we are not competent to judge; but there are many matters in this small pamphlet of such general interest that we only do our duty in bringing them under public observation. Mr. James, it appears, has recently returned home from a voyage round the world, during which he spent some months among the Sandwich Islands; and we lament to say that his account of them is of the most melancholy description. No wonder the population is gradually falling off, when, added to this system of frightening the people, and charging them a dollar forgetting married, they are compelled to attend the church and school four days out of seven, and the fifth day is spent in compulsory labor for the chiefs ; thus leaving only two whole days for the purpose of tillage and growing their necessary food. English or American gentleman to ride on horseback on Sundays, or drink spirituous liquors, or play at bowls or billiards on any day in the week; whilst they themselves are driven about the town and about the country, four-in-hand, with their wives and families, Sundays and working days, not by horses, which are plentiful and cheap enough in those islands, but by human beings, by four naked black fellows, their own hearers, and probably fellow-communicants! In short, civilisation, as it is unfortunately going on at present in the Sandwich Islands, under the mismanagement of the American missionaries, is only another word for extinction. R.P. Stone, Birmingham, Volume 2, 1832, page 657. T. Dalton, Toronto,1834, page xiii. Geoff Cater (2017) : T. Horton James : Missionary Prohibitions, 1832.